Emerging media narratives suggest that with smartphone sales contracting in many markets globally, there will increasingly be less opportunity for Apple to sell its high-end, ultra premium iPhone models to new buyers. But the reality is that Apple has a vast installed base of iPhone users—and across the last year, while Apple earned incredible billions selling iPhones, only a small percentage of those users have yet upgraded to its newest, high-end flagships. According to data compiled by Neil Cybart of Above Avalon, Apple's iPhone installed base is now around 750 million users. Yet over the last fiscal year, Apple's total iPhone sales were just above 216 million. That's a lot of phones, all of which are "premium" by industry standards. Cybart noted that about 120 million of these new iPhone sales over the past year were Apple's iPhone 8, iPhone 8 Plus and iPhone X. Compared to Android licensees, this is incredible, because the vast majority of sales by Samsung, Huawei and other Android makers are lower-priced, entry level models. In contrast, more than half of Apple's new iPhone sales are its most expensive, high-end new flagships —the very ones that most tech pundits are trying to convince people not to buy and insist that nobody can afford. Apple's most popular model over the last year was iPhone X, its most expensive. That explains why Apple's Average Selling Price was so high hitting nearly $800 during the launch quarter. Samsung, which sells about 320 million phones per year, only sells around 60 million of its flagship Galaxy S and Note models combined, annually. That explains why Samsung's ASP below $250 is so low. Beyond its roughly 20 percent of premium sales, the vast majority of its smartphone units are middle tier and low-end devices, most far below the prices of any of the iPhones Apple sold last year. Other Android makers have an even narrower slice of premium sales. Media sources who try to equate Apple with Android licensees never compare Apple's high-end sales volumes next to competitors. They only compare the market share of all devices shipped, because there is no way to make an Android-flattering comparison in the premium space. Despite Apple's massive volumes of iPhones sold last year, and its leading volume of ultra premium models that outsold comparable high-end devices from Samsung by two times, the much larger installed base of iPhone users means that only a minor fraction of all iPhone users upgraded to the latest iPhones over the last year. This really means that Apple sits on a bank of users who are the most valuable demographic of premium electronics buyers. They buy the most apps, pay for more services, and subscribe to more premium content. They buy premium peripherals, they want higher-end phones and are the most likely to spring for new technology. They largely do not have any interest in shopping around for Android, in part because they are invested in Apple's ecosystem, but also because Android increasingly offers less in the way of premium offerings. Years ago, some Android models exclusively debuted 4G LTE data; much larger screens; better camera features; and unique technologies like NFC, stereo speakers or waterproofing. Meanwhile, Apple has faster processing, better displays, better apps, better messaging, better integration and better privacy. This uncontroversial reality is rarely mentioned in the tech media, because once you know this, all of the drama dissipates. 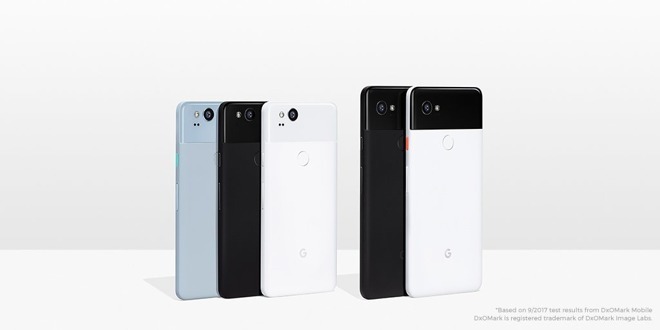 Who cares that Google is releasing another Pixel? There aren't enough premium Android buyers in existence to make it a success, even if it were an amazing piece of hardware. Who cares about Andy Rubin's Essential? Finding the money to build next-generation hardware is pointless unless you already have an installed base of likely buyers ready to pay for it. Steve Jobs painfully learned this at NeXT, before demonstrating that he could indeed sell his product if only he had Apple's audience to sell it to. And, Rubin found this out the hard way. The hype-fest among premium makers without premium buyers is the same for Samsung. Not only has the Galaxy S9 not rivaled Apple's iPhone X?, but it isn't even replacing sales of older Galaxy S8 or S7 models. Samsung's premium sales are headed downward, in part because Google is promoting the idea of super cheap Android hardware in between stabs at releasing an iPhone-priced Pixel phone of its own that literally nobody is looking to buy, outside of very loud media personalities who do not represent real buyers in the market. The entire idea that Apple is one false move ahead of losing a big chunk of its customers to Samsung or to production from China is pure fiction. Apple has been incrementally building a massive installed base of loyal users for decades. Even if new iPhone sales volumes were to never dramatically expand again, the fact is that the length of their lifespan means that adding over 200 million new iPhones annually preserves and enhances Apple's huge bank of premium buyers. This huge bank of premium buyers are critical in pushing Apple's newest technology. Unlike any other smartphone maker, Apple can invest in very expensive new technologies knowing that it has a massive audience of buyers to sell it to, even if it takes a while to gain momentum. This is what enabled Apple to radically revamp its entire iPhone hardware design and navigation behaviors with iPhone X last year, then turn around and expand that new technology to a portfolio of X flagships this year. It enabled the vast undertaking of the Apple Watch with the slow boil that started at launch, and allowed the custom silicon work and advanced technology that went into AirPods and HomePod. All three of these were initially compared against cheap products from companies that sold high volumes of low-end products. But as years go by, it becomes clear that Apple's new introductions are crushing and outlasting their cheap competitors. This far into the maturing smartphone market, no other phone maker or software platform will now be able to build up a similar base of 750 million premium buyers. The world's remaining potential smartphone buyers are not affluent premium customers. Google knows this, which is why it pays Apple billions to stay on iOS in search, and why it no longer even tries to keep its latest apps exclusive to Android. Android has something like 2 billion people running its free software on their phones, but they do not contribute to commercial activity anywhere near the level of Apple's users. Google has been offering them premium hardware for years and they simply don't buy it. Microsoft also realized this and gave up on even chasing a third place mobile position in the world's largest market for computers. Like Apple, Microsoft tried to chase premium buyers and even worked to support them better. But it simply couldn't achieve a critical mass of buyers needed to keep its software platform afloat. Hardware makers in China and India would like to be able to build a premium base of customers, but the premium segment in both regions has already been dominated by Apple. Pundits like to tell the story that the platform that people start using is the one they get comfortable with and stick with, but that's not true at all. Ten years ago, the majority of smartphone buyers got started using Symbian or Java ME. Apple didn't reach its 750 million iPhone users from their infancy. They switched to using iPhones. And sales patterns make it clear that iPhone users are not switching in significant numbers to other platforms. It's the remaining premium segment of Android that keeps incrementally switching to iOS. Apple won in hardware the way Google won in search, or Facebook in social networking. Large shifts in switching happened long ago when there was a credible series of options to choose between. Today, the only real difference is that Apple won premium users globally; Google and Facebook are only in the West, and have been shut out of China without any real hope of returning. Apple's bank of valuable users also explains why Apple went through extraordinary efforts —revealed at WWDC 2018 —to make iOS 12 work better on iPhones it sold years ago. While everyone else has been ditching support for their existing customers with the short term goal of selling them new hardware across the board, Apple has long pursued the goal of supporting iPhones for multiple years. 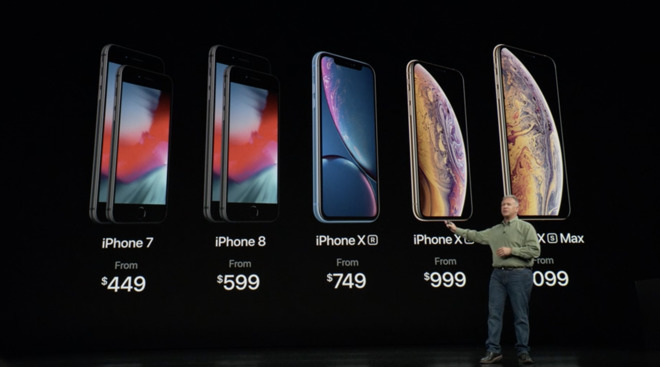 One side effect of this is a much higher resale value for older iPhones, meaning that Apple can sell higher-end premium iPhones that its pool of buyers will readily pay for, knowing that they can recoup some of the cost by selling their still-good iPhone to somebody else in the secondary market. Apple benefits from selling higher-tier products, but also ends up with two App Store customers rather than just one with a drawer full of old, unsupported iPhones at home, doing nobody any good. Analysts have long been wringing their hands and rending their garments at the prospect of iPhone buyers slowing down their replacement pace. But for Apple, that's not a problem. In fact, Apple has been selling people computers with very long replacement cycles for decades. Apple knew what it was doing when it set the operating rules for iOS. It's now in the enviable position of being able to offer luxury class upgrades to a massive pool of premium buyers. From that perspective, the idea that "just" 15 percent of its massive pool of iPhone users fueled profitable sales of 120 million ultra high-end over the past year means that there is a deep thirst for drinking up all the new iPhone tech Apple can juice out this year and next, well into the future. And, that assured demand means Apple can invest liberally in long term efforts aimed at developing new tech to woo its pool of premium buyers to upgrade. Apple has been pursuing the opposite of planned obsolescence. While cynics have claimed that Apple builds new products that forces people to throw away what they already have, the reality is that Apple wants iPhones to have the longest life possible, remaining valuable to the broadest pool of users —just like Apple's Vice President Lisa Jackson said at the iPhone XS event. Apple —as the curator of the macOS platform across more than 30 years —is well aware of the value of a consistent, broad set of development frameworks and hardware in selling new software and peripheral devices. The longer products last and are officially supported, the larger that pool of premium buyers will grow. And, the larger the pool, the greater potential there is for launching new premium offerings and devices—from Apple Watch to iPhone XS Max to HomePod. It also allows Apple to successfully launch new technologies that support and add value to the ecosystem, such as ARKit and CoreML. The industry has long marveled at the "monthly active users" of social media advertisers and given them stratospheric valuations, as if people have infinite attention spans and voracious appetites for pennies-worth of ad messaging shoveled into their daily existence. Those same pundits seem to have no ability to see that Apple's 750 million iPhone users are extremely valuable in a market where most of the money is earned from selling premium products, and most of the growth is coming from ongoing Services and new emerging wearables and other devices that require a premium audience to succeed.